At Shabaton L’Menucha, we understand how important it is to have a respite break when caring for your lovable child with special needs. We know the enormous strength involved in the daily caring. We understand that you need support to recharge. It’s what we do. Respite breaks ensure that you can continue your selfless and joyous task of giving your child his/her best. We can’t wait to assist you. 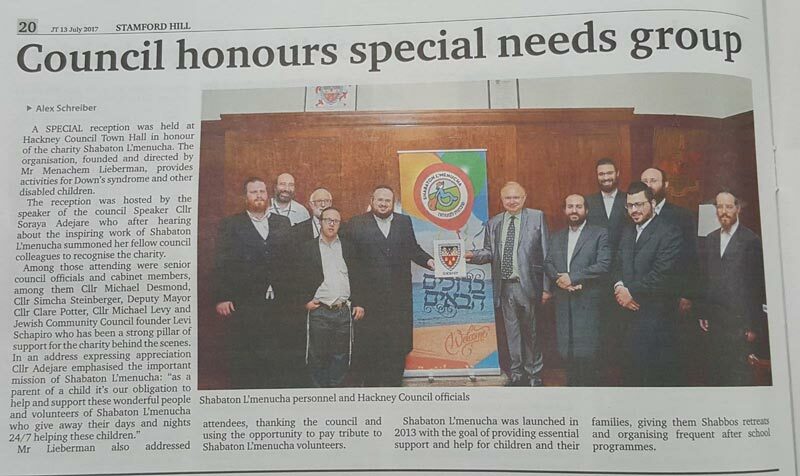 At Shabaton L’Menucha we know that children with special needs sometimes need that special extra to keep them going. We know how they thrive with company and challenging activities. It’s what we do. Weekend programmes are designed to give your child the maximum fun in an exhilarating happy atmosphere. We can’t wait to take your child on board! To sponsor to this very worthy organization click below!